Have you ever met someone who seemed to have the dream job? Ever wonder how they managed to get it? Has it turned out the way they had planned? Should every hobby be turned into a job? As we all look for fulfilling, rewarding work that we enjoy, virtually everyone at some point considers embracing their passion and figuring out a way to make it pay rather than starting (or continuing) to do work in a career we either drifted into or thought we would enjoy. The WorkNotWork Show tracks down people with interesting jobs which in many cases started with a lifelong passion for the subject which they have managed to make into their career. Each episode, we talk to one person who is 'living the dream'. We find out about the work, how they managed to get into it, what has gone well, and candidly what are the drawbacks. 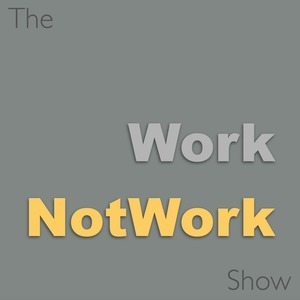 The WorkNotWork Show strives to provide an entertaining blend of inspiration, ideas and information for people who want to be inspired by their work.